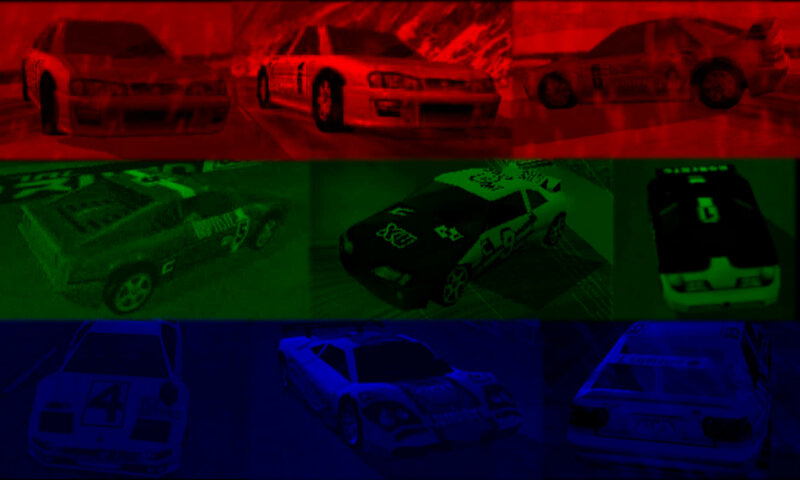 USA is a secret locale in Total Drivin’ / M6 Turbo Racing / Gekisou Grand Racing, alongside Japan and Sweden. This track resembles Egypt. 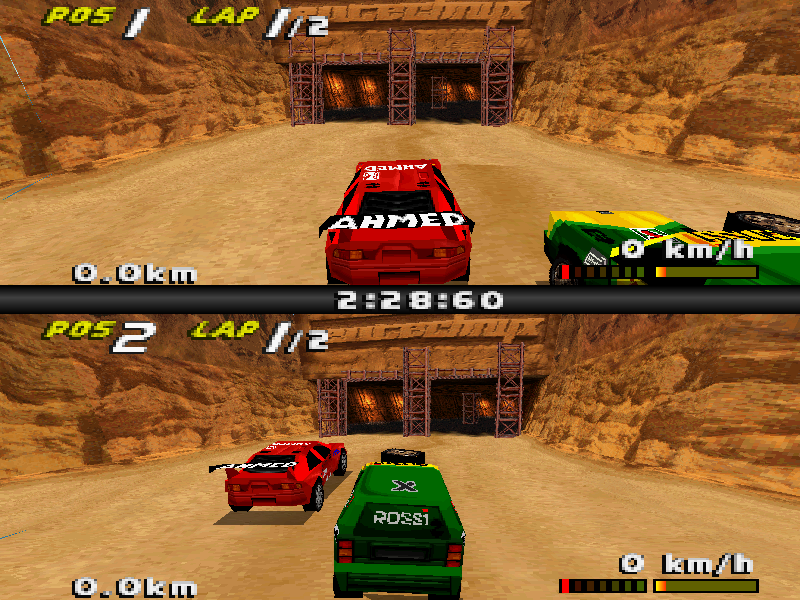 It is most likely Morgen‘s home track, but it can only be played in Split-Screen mode**. 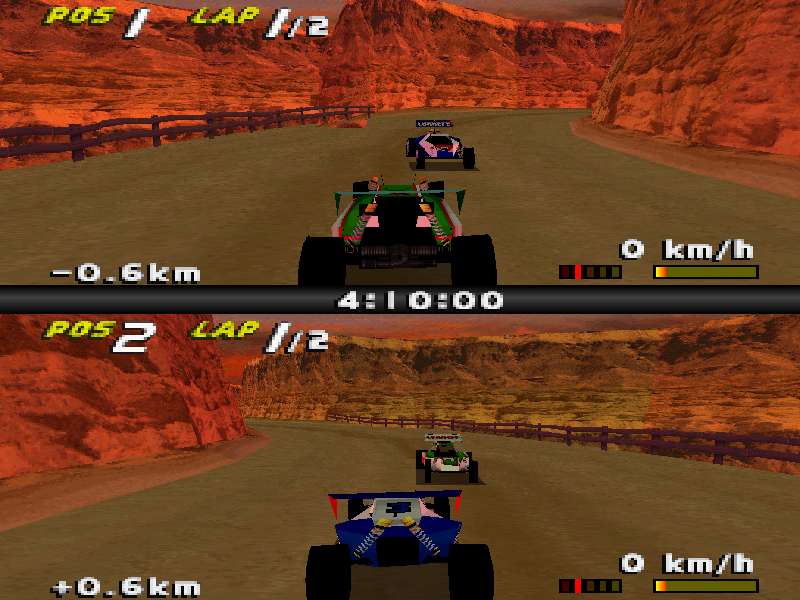 Players drive Buggies in USA A (Sunset) and Dakars in USA B (Sunny). **Unlocked at the Main Menu screen by pressing R1 to the tune of “zippity doo dah, zippity day” (0:12-0:17 of the song). If the code is entered correctly, an engine zoom sound will be heard.